Ralph and Michelle Lynn’s marriage was floundering until, at Michelle’s urging, they attended a VA marriage retreat three years ago. Now things are different. Photo courtesy of VA Health Care online news. Two VA chaplains from Augusta, Georgia came up with the idea to give combat veterans and their spouses an opportunity to readjust after returning from war. The idea of retreats for married combat veterans is expanding. It’s now offered in San Diego, according to the VA Health Care article, and plans are in the works to offer similar retreats at 20 other VA medical centers. The program initially was open to only Veterans of Operation Iraqi Freedom and Operation Enduring Freedom, but is now open to anyone who has worn a uniform. You can read more about the retreat program and what if offers HERE. The lack of command authority and structure at the Dover Port Mortuary led to the mishandling of cremated remains of soldiers and some 9/11 victims according to a report just released. Former U.S. Central Command head, retired Gen. John Abizaid led the subcommittee of the Defense Health Board charged with looking into the mishandling of remains at the Dover Air Force Base, Dover Port Mortuary. Among the initial findings: body parts packaged in plastic bags were mislabeled and lost; cremated remains were thrown in a Virginia landfill; and one fallen Marine’s mangled arm was sawed off, without family notification, so the body would fit in the casket. 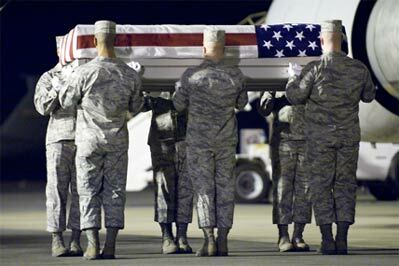 Background information provided with the subcommittee’s report indicated that unidentifiable remains from the 9/11 Pentagon attack and the crash site in Shanksville, Pa., were cremated, sealed in containers and given to a biomedical waste disposal contractor. The contractor incinerated those containers and dumped the residual material in a landfill, according to the report. Detailing a series of previously undisclosed errors at the Delaware military mortuary, investigators for the Defense Health Policy Board found a 2002 memo that revealed portions of seven bodies of people killed Sept. 11 in Shanksville, Pa., and in the attack on the Pentagon couldn’t be identified and were then cremated and given to a contractor that deposited the remains in a landfill. His report calls for upgrading the commander of the mortuary units from a colonel to a two-star general; giving the commander more authority to investigate and prosecute; and subjecting the mortuary units to regular inspections. Abizaid’s panel also calls for a “board of visitors” to oversee the mortuary units and report to the Defense Health Board. Transcripts of the news briefing are available HERE. Guess Who’s Coming to Dinner at the White House? 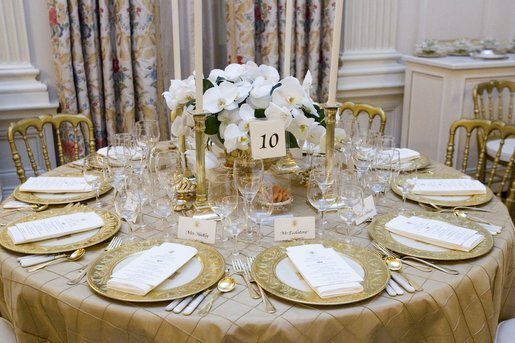 The table settings in the State Dining Room for the White House dinner Wednesday, Nov. 2, 2005, in honor of the Prince of Wales and Duchess of Cornwall. White House photo Shealah Craighead. President Barack Obama and First Lady Michelle are hosting a dinner Wednesday to honor Veterans of Operation Iraqi Freedom, Operation New Dawn and their families. Most of those invited remain in active duty and represent all ranks and service branches. Service members will come from across America and include National Guard and Reserve. The invited guests will represent the more than a million Americans and their families who served and sacrificed in support of Operation Iraqi Freedom and Operation New Dawn. Secretary of Defense Leon Panetta, Chairman of the Joint Chiefs of Staff Gen. Martin Dempsey and the chiefs of the five services and National Guard and Reserve will also be there. The Department of Defense released the names of the 78 service members invited to dine at the White House “A Nation’s Gratitude” Dinner. Alabama: Staff Sgt. Shawon Tucker; Army. Alaska: Maj. Shannon Thompson; Army. American Samoa: Chief Warrant Officer 4 John Nikolao; Army. Arizona: Capt. Brian D. Hartman; Army. Arkansas: Cpl. Aaron Mankin; Marine Corps. Arkansas: Staff Sgt. Joseph May; Marine Corps. California: Maj. Eldridge R. Singleton; Army. 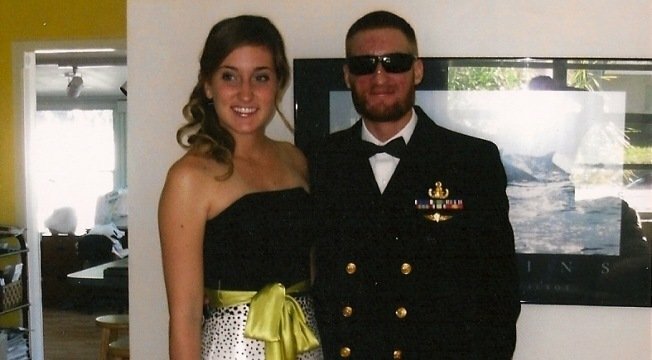 Elyse and Brad Snyder prior to the 2011 Tampa Navy Ball. Photo courtesy of Navy Sports. Brad Snyder, a 2006 U.S. Naval Academy graduate and swim team captain, has earned an invitation to swim with the U.S. Paralympic Team in the London 2012 Games. Snyder competed in his first swim meet this past weekend since being blinded by an explosive six months ago in Afghanistan. Swimming the 50 free at the Bobby Flowers Swim Meet in Colorado Springs, Snyder finished just 1.8 seconds off the paralympic blind division world record. His performance earned him an invitation to become part of the team. Snyder swam for four years while at the Naval Academy. After graduating, he became an Explosive Ordinance Disposal officer. The St. Petersburg, Florida native also ran a 10K race in Clearwater with the guidance of his therapist just two months after the improvised explosive devise (IED) left him completely blind. You can read more about Snyder’s swimming and military service in a Navy Sports article. More than 17 tons of shipwreck treasure is on its way from Tampa’s MacDill Air Force Base to the Spanish government. The estimated $500 million worth of gold and silver coins was discovered in 2007 by Odyssey Marine Exploration of Tampa. The treasure hunting corporation found a shipwrecked Spanish galleon sunk by British warships off the coast of Portugal in 1804. The ship laden with gold had been near the end of its voyage from South America when attacked. The Spanish government laid claim to the Odyssey’s find and after a legal battle that lasted almost five years, Spain won ownership of the treasure that Odyssey recovered from the depths using a remote controlled robot. 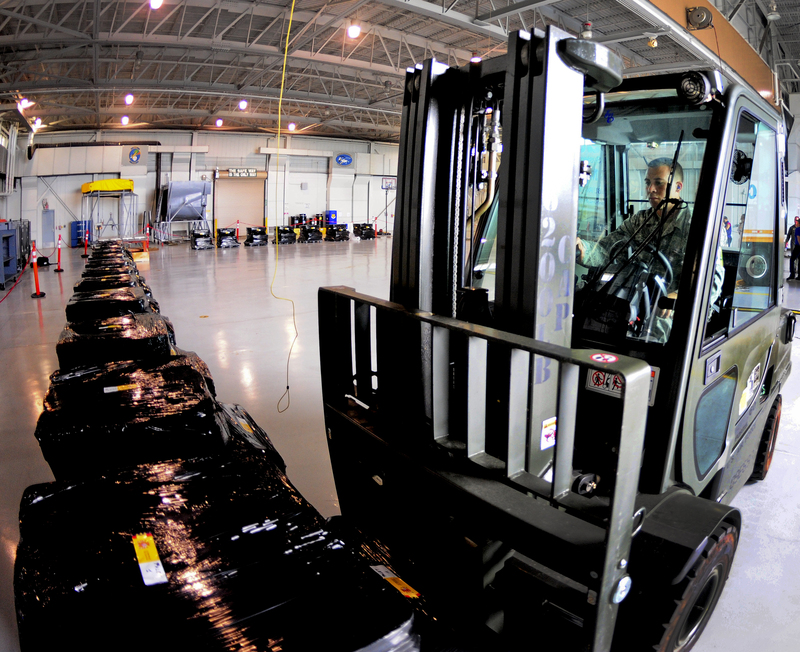 After losing their legal appeals, the treasure hunters brought the coins to Tampa’s airbase for transfer. 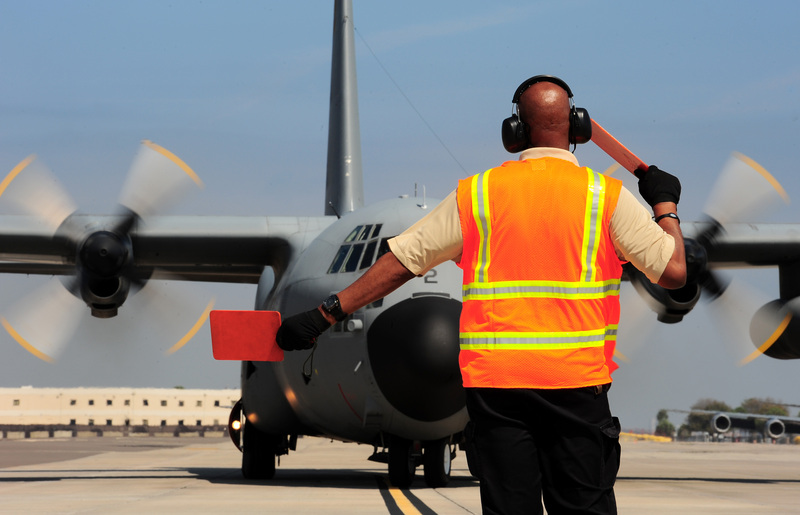 Airmen from MacDill helped ensure the gold was loaded safely aboard two Spanish Air Force C-130 Hercules aircraft. Friday, the nearly 600,000 coins and artifacts were then flown out of Tampa’s military base headed to Spain, their original destination more than 200 years ago. 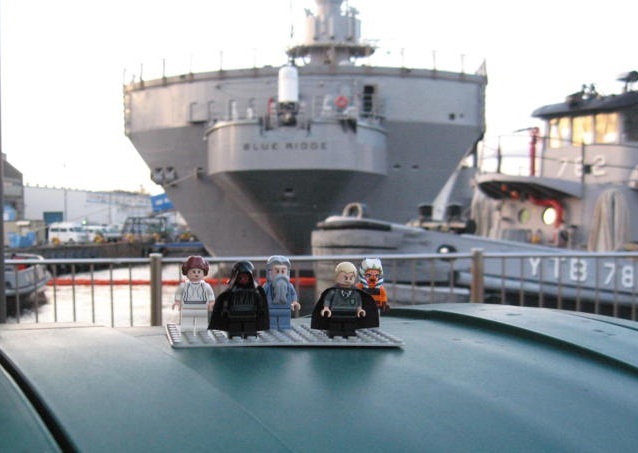 The Lego mini-figures a deployed dad uses to stay connected to his children. Seeing their mini-figures in pictures from around the world really helps the boys feel close to their dad while he is deployed. I print out pictures for the boys and they hang them by their beds, take them into school to share in their classes, and carry them around the house. 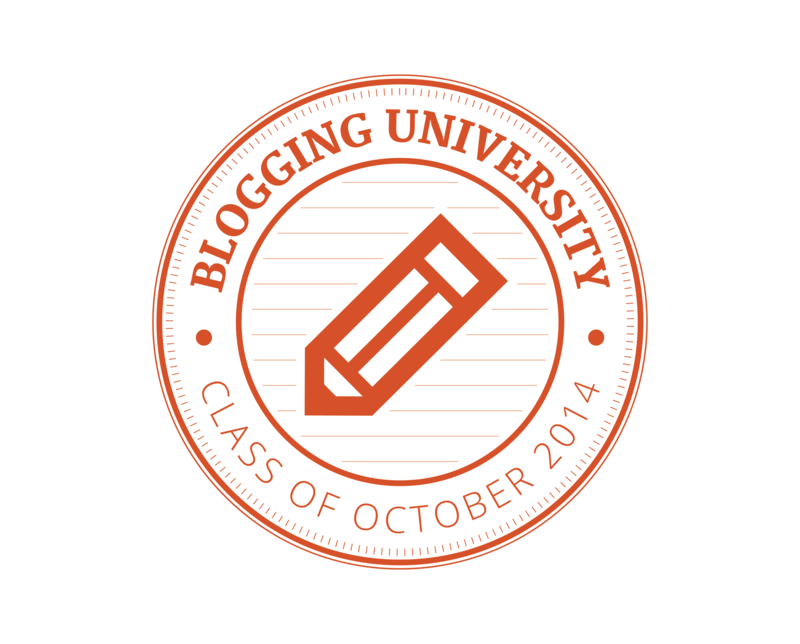 … Other than having to apologize for our large furniture, the move was painless. I learned in my 2-week indoctrination class that tipping is considered an insult in Japan. But I also learned through word of mouth that the Japanese will never take offense when offered a gift of American pizza and beer. After accepting my on-base food court offerings with a bow, they piled into their now barren truck and drove away, leaving me alone in this newly Americanized Japanese home. … Being a military wife is an all the time occupation. It’s only with another wife that I can talk about the fact that my husband wants to go to war and that I also want it for him. 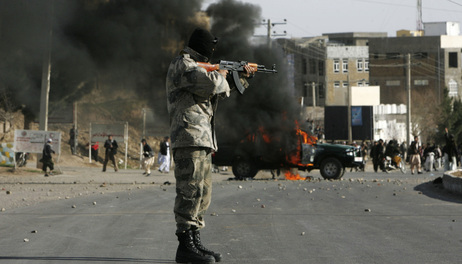 Civilians don’t understand that need that they have to go down range with their guys. They also have a hard time understanding how quickly you are able to bond with those around you. You can read the full essays of each winner at MilitaryBases.com “You Are the Expert Writing Contest” and also find other submissions.